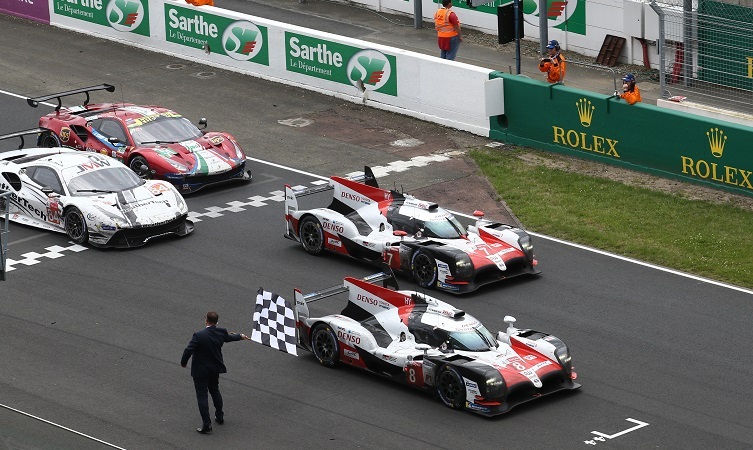 FRF Toyota is on a mission to save the planet! FRF Toyota is taking its first steps towards becoming a more conscious and eco-friendly business. A few months ago, we had an issue at our Carmarthen dealership where some event balloons were let go into the air rather than being disposed of correctly. We were grateful for the people of Carmarthen who made us aware of this issue and have since made it a main business focus to decrease our impact on our environment. 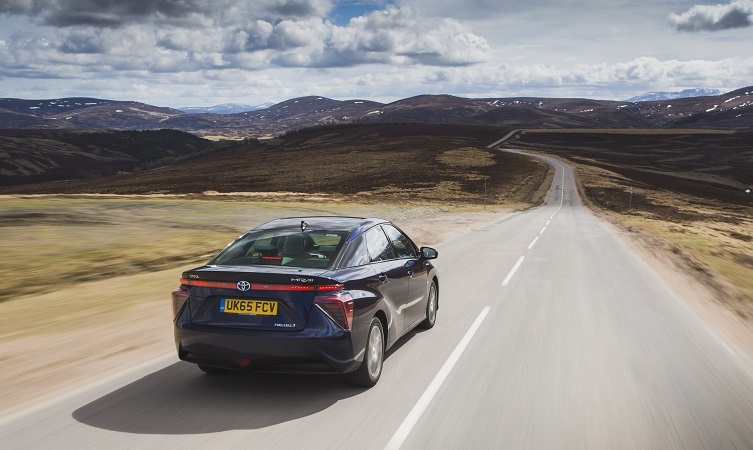 Read more about FRF Toyota is on a mission to save the planet! 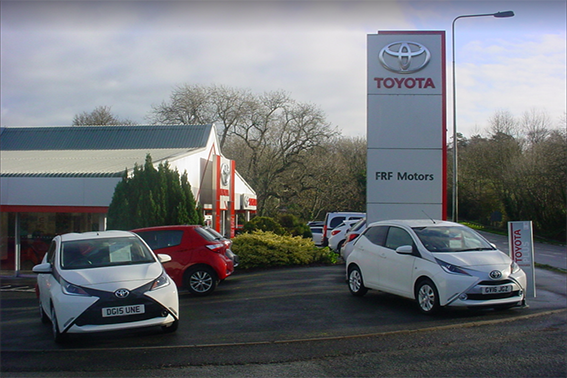 FRF Toyota have partnered with MCS (Marine Conservation Society) to further champion the environmental benefits of Hybrid cars. FRF Toyota are sponsorsing WCMX athlete Lily Rice, a star of the Toyota 'Start Your Impossible' campaign. FRF Toyota have agreed a one-year sponsorship deal with prominent local WCMX athlete Lily Rice. Lily, who originates from Tenby in Pembrokeshire, is an Extreme Sport Para Athlete who rides Wheel Chair Moto X (WCMX); a cross between BMX and Skateboarding. At just 13 years old, Lily became the first female in Europe to land a wheelchair backflip - no small feat! Click here to see the footage. Please check our Christmas opening hours if you're planning on visiting us over the Christmas break! We had a great time at the Pembrokeshire County Show last week. 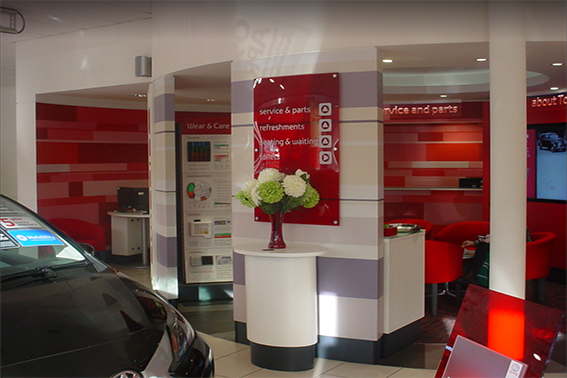 Thank you to all our existing customers that stopped by to say hello - it was great catching up with you again! It was a lovely couple of days at the show and luckily the sun came out eventually! 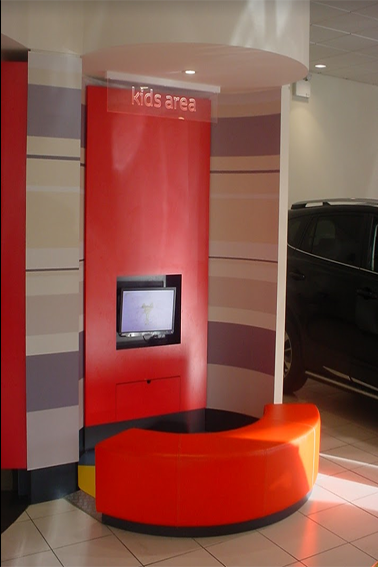 We have a wide range of models on display in a variety of colours for visitors to look around. 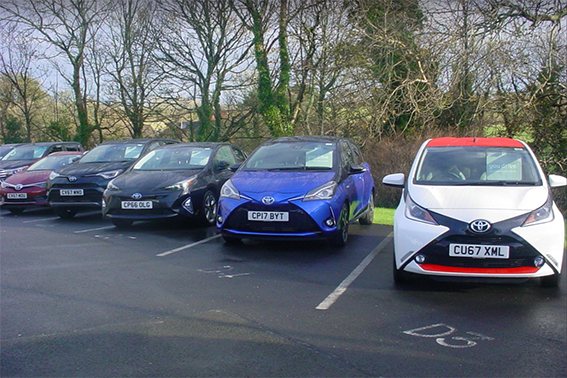 From the show-stopping C-HR to the brand new AYGO, to the gorgeous GT86 we have in our used car stock - there was something for everyone on display! Come and see us at the Pembrokeshire County Show 2018! We're attending the annual Pembrokeshire County Show from Tuesday 15th August - Thursday 16th August! 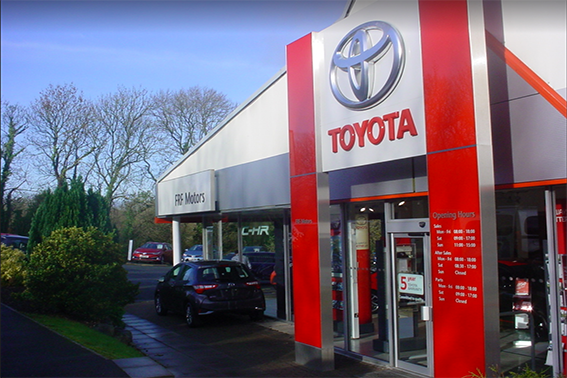 It's a great opportunity for you to meet us and discuss everything Toyota. 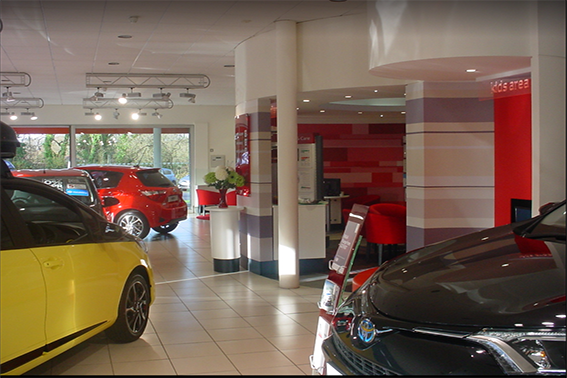 We'll have a variety of cars with us from the brand new AYGO to the Hilux Invincible! Amazing discounts will be available on all cars throughout the event so it's a great time for you to enquire! Read more about Pembrokeshire County Show 2018! We're exhibiting at the Swansea Motability Show! Come and meet us at the Swansea Motability Show - Saturday 11th August till Sunday 12th August! We'll be set up in Castle Square, Swansea with the gorgeous C-HR so pop by and say hello! 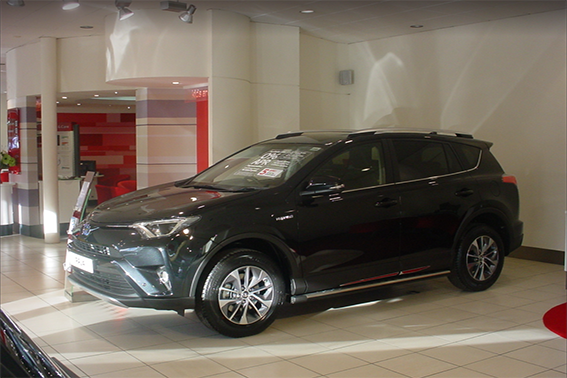 We've got an amazing Motability offer on the C-HR exclusively for the show so make sure you're there to claim it! How well do you know Hybrid? As the leading manufacturer in Hybrid vehicles, we like to think we know a thing or two about how it all works! But how well do you know Hybrid? 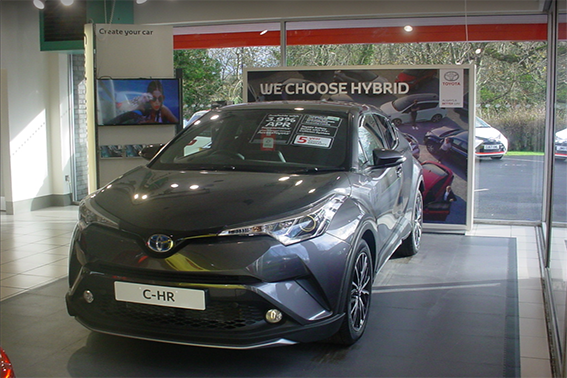 We've created a handy explainer video to show you what it's like to drive a Toyota Hybrid featuring the lovely C-HR! 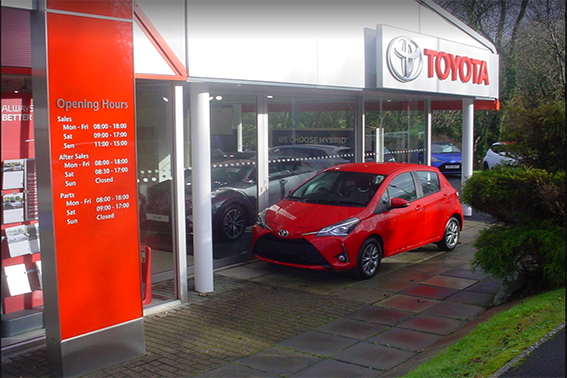 If you'd like some more information about how our Toyota Hybrids work then please get in touch! Read more about How well do you know Hybrid?